Learn from the expert Lauren Peebles, Esq. on the HOW, WHEN and WHY it’s time to start your legacy planning! If you have minor children, adult children, own a home, considering homeownership or family members that depend on you! 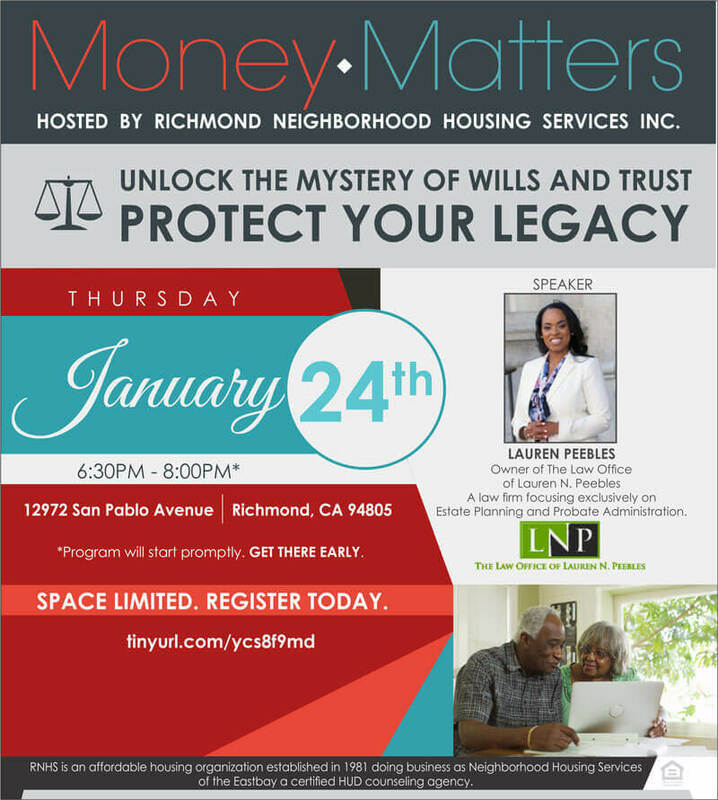 This session has been designed for you in mind; those with a vested interest in protecting their family and assets! Protect your Assets, Protect your Legacy- Eliminate the Barriers- Get INFORMED!